Just a couple to note today. The first of which I’m quite keen on a big price. I like the chances of Divine Call (5.45 Wolverhampton) who has been running ok in similar races without troubling the judge. Again last time out here he was only beaten 2 lengths in the end despite being last turning for home. Under both of his last two rides I scribbled “would be very interesting under Baker” and hey presto! George is riding today. He will be patient, he will probably need some luck and will certainly need a pace to run at but with Spowarticus in the field, coupled with several young riders, I think they might go a real good clip. If they do and George can time things right then he is surely overpriced off a mark that is 6lbs lower than his last winning one. There are obvious dangers but Risk N Reward has been winning at Southwell and needs a career best on a track he hasn’t sparkled at so happy to take him on. I thought ITALIAN TOM might be the main danger. He has dropped to a very dangerous mark and is probably worth monitoring. All in all Divine Call looks a real interesting each way bet at a swanky price. The second horse I will back today is LAST SHADOW (2.30 Kempton). Won off 105 on reappearance at Uttoxeter back in November before an average effort off today’s mark on New Years Day. That was right in the middle of Jonjo’s cold snap and with the yard absolutely thriving over the last few days it is not hard to see him continue that potential promise of improvement today. LAST SHADOW – 2 pts win @ 7/2 generally. Of the remainder well it will be great to see WEST WIZARD back on course this afternoon. He has hinted on both occasions that he has been beat that a step up in trip might be the making of him. He is 33/1 for the Neptune this morning, that might look a very big price come 2.10 this afternoon. I hope he wins really well. Elsewhere I thought THE FRIARY was very interesting up in trip at Bangor (3.15). Whilst at Wolverhampton tonight I liked the look of TOP COP in the opener (5.15) as there is plenty of pace on there and he might just sit and pounce down in grade. Steve Rogers should win again up in trip and Cookie Ring ran better than the form suggests last time. Stepping up to seven should suit him and he is the least exposed in that race. All in all good to have a full day’s racing back. Let’s hope George can pull all the string s later on! Apologies don’t have much time this morning but will quickly blast through today’s selections. WALK LIKE A GIANT – 2.30 Chelmsford – 1 pt win @ 9/2 generally. THIRD STRIKE/DUKE OF DUNTON 2.35 Kempton – 1 pt win each @ 10/1 @ 9/2. January wrap up and Sunday’s action! Well we have arrived at the end of the first week and the end of January. A pretty decent start to our challenge to get us off the ground too. Sixteen bets in total in week one with five winners yielding a 31.25% strike rate. We will happily take that throughout the rest of the year especially as several things didn’t really fall for us this week. We have finished off January with a 12.25 points profit (+£1,225). Saturday was slightly frustrating. Silsol won really well again in the Welsh Champion Hurdle at a juicy 10/1. I very nearly went a little stronger than the single point on him. The last horse I crossed off the list yesterday was Join The Clan at Wetherby. Thought his price was a bit skinny in the morning despite thinking he had a great chance of following up his Warwick win. Well he went off even shorter and won well again. I found Ffos Las slightly uncomfortable viewing throughout most of the afternoon. On to Sunday’s action and I am going to attempt to kick February off with a couple out the back of the hand as I like the look of a few at prices. I’m writing this on Saturday evening so apologies if some of the prices are a little out of date. I would advise (as always) where possible to be taking best odds guaranteed. We are going to start with the googly in the form of EASTWARD HO (2.20 Chelmsford City). On recent form he doesn’t cry out as a potential winner but I’m hoping that circumstances of the race may just help. Firstly he is absolutely thrown in on some of his back form, admittedly though it’s been a while since he shown anywhere near that. Now he likes to be handy in his races but with Miami Gator in the field he is likely to have to take a lead. They are drawn alongside each other in 3 and 4 here so hoping we can just get a lovely trail into the race and pounce late. We are getting weight all-round here with Danny Brock taking over from Shelley and provided he doesn’t go mad early and try to chase a silly pace he may well be overpriced at 18/1. EASTWARD HO 1 pt win 18/1 with SKYBET. My strongest fancy of the day comes in the 3.20 at Chelmsford with BLACKTHORN STICK. John Butler’s charge did well to come from so far back last time to finish a close second behind a well backed winner. Having come a long way back down the weights he is now on a really attractive mark and could be ready to strike. I am hoping they have a good look at the race and ride him a bit closer to the pace as there is a lack of early toe in here. Ridden handily from a middle draw and kicking off the bend should see him go very close. BIRCH HILL (3.30 Musselbugh) looks certain to appreciate the step up in trip when tackling three miles under rules for the first time. Mistakes and the wrong trip have been the issue to date but when wining his point last April he was strongest at the finish and with the extra emphasis on stamina here I’m hoping we may finally start to see some of the promised potential. He’s a general 4/1 chance this evening and that is probably too big. BIRCH HILL 2 pts win @ 4/1 generally. One more to come late on and again this time we’ll chuck in the doosra. Gonna throw a point at KRUZHLININ at Musselburgh (4.30). 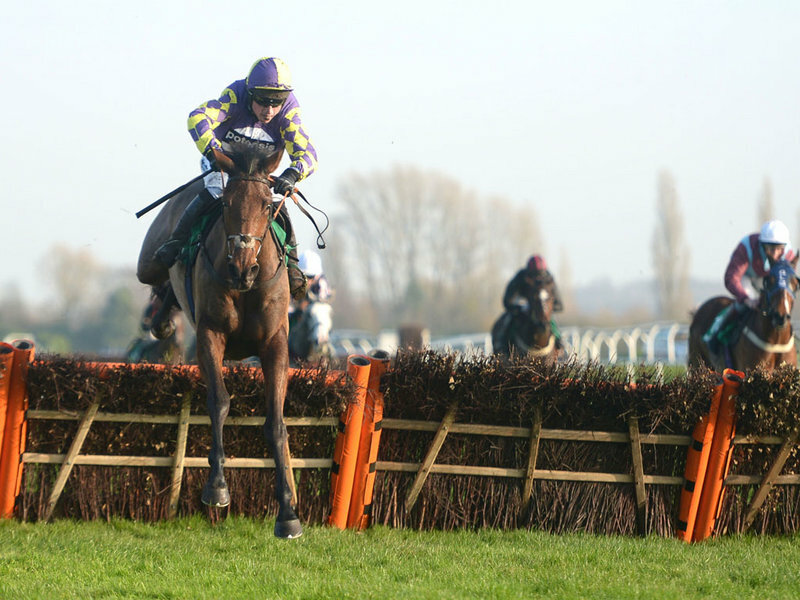 The Grand National is likely again to be the target this year for Donald McCain’s charge. He has not been seen since the Beecher Chase in early December where he got behind early but stayed on to finish a creditable 7th. Whilst this is probably a prep run, his hurdles mark is lower than his chase rating and the yard have hugely turned the corner this week. This is the weakest race he has run in for a while and I just thought that he may well out run his odds significantly. You don’t want to get too far behind round here so I will be delighted if he is ridden close to the pace in the early part of the race. KRUZHLININ 1 pt win @ 16/1 generally. Have an awesome Sunday and fingers crossed the Patriots do the business for us tonight in Superbowl 49! Morning everyone. Another really pleasing day yesterday bagged us two nice winners at Lingfield. Disappointed with the run of SYNAESSTHESIA at Wolverhampton but she is a project to keep an eye on. The market was incredibly negative about her late doors and the horse that was heavily backed most of the day won easily. As expected they didn’t go much of a pace and I think they might have got the tactics wrong on her. Still a nice 12.75pts profit on the day cannot be grumbled at. We will start with what I consider to be the bet of the day for me in the form of FESTIVE AFFAIR (1.50 Sandown). A frustrating type really for Jonjo O’Neill who has been given some time off after a disappointing return to action at Cheltenham in November (where he was very well backed). His mark of 132 really does look very workable on his beating of Dark Lover last year. I am assuming they were not keen to run him during the yards cold spell and he looks to me to be a type that could thrive in the spring and towards the festival. Very keen on his chances this afternoon and wouldn’t at all be surprised if he was very well backed. FESTIVE AFFAIR 3 pts win @ 5/1. A really competitive affair. The first two winners of this race (Medinas & Saphir Du Rheu) have both proved to be very smart animals but I’m not sure there is anything of that class lurking in here. I put a line through at least half this field with comfort though and I think there are two worth backing. First up, top weight SILSOL. Let’s forgive the latest run at Cheltenham behind Rock On Ruby and concentrate on his handicap exploits of which his form reads 2111. Up another 7lb for winning at Newbury off 144, he was going away at the end there and I don’t think the extra 7lb would have stopped him that day. Jack Sherwood gets on very well with him with two wins from three rides and I think he has been slightly underestimated in the market and therefore should be backed. The other one that interests me is AWAYWITHTHEGREYS for Peter Bowen and Jamie Moore. I think he likes this type of flat track and he ran well in the race last year which was a stronger race than today. The blinkers go on and I think he might just be overpriced. Really keen on the chances today of GLOBAL POWER. Oliver Sherwood’s gelding hasn’t had much racing over the last couple of seasons but he has given the impression on several occasions that a step up to extreme trips could bring about plenty of improvement. I think he is an out-and-out stayer and the conditions of today’s race will play into his hands. A really solid bet. GLOBAL POWER – 2.5pts win @ 11/2. WEST LEAKE (4.05 Lingfield) hasn’t won for two years but seems to be in the perfect race for me today. He’s a hold up horse who would like to be on the bridle as long as possible and with Bertie Blu Boy in the field they are certain to go a crazy gallop. With one or two of these keen to chase the pace he could well just have everything set up absolutely perfectly. I struggle to see him not being in the first three and if all goes perfectly thee race may just fall into his lap. Last win came off 58 so is on a nice mark and should at the very least go close. WEST LEAKE 2pts each way @ 6/1. This treble pays 22/1 with Sportingbet and I’ve thrown 1pt at it. So a really busy Saturday with 12.5 pts at Stake. Confident of a decent day. Enjoy a cracking day and be lucky! Mixed emotions really about the action on Wednesday as we had a decent winner at 7/1 that was very well backed and two rather disappointing efforts either side. There was money for Daring Dragon and to be fair the race wasn’t really run to suit so he remains of interest in the short-term. With Dutch S the writing was on the wall before the off as she drifted drastically close to post time. Should always remember not to back against the West Ham theme as Pretty Bubbles won well again. On to Friday’s action and I have managed to find a few particularly interesting runners to get involved with. First up we got to Lingfield at 1.30 to back FEB THIRTYFIRST. Sheena West’s six-year-old had five starts on the level back in 2012 and was largely disappointing. A switch to hurdling brought about some rapid improvement and he has shown a fair level of form in most starts over timber on some bad ground. He is lightly raced for his age and is now potentially thrown in here off a mark of 46 (was rated 124 over hurdles). This huge drop in grade should bring about a great winning opportunity back on the level. FEB THIRTYFIRST 2.5pts win @ 4/1 Bet365/Betfair Sportsbook. Next on the hit list today is THE WEE CHIEF (2.35 Lingfield). Has gone down the weights like me off the ten metre board on splash! Thus there is an element of doubt attached to this one. He has however run well fresh in the past (back off a 213 day break) and Jimmy Fox has just started to have a few winners. With Luke Morris on board for the first time, he looks primed and ready to run well especially if plenty of money comes for him. On a side note to this race keep your eyes on VOLITO. He is totally being lined up for a winning sequence in my opinion. His habit of missing the break doesn’t help but he is also well handicapped now. Initially they booked George Baker for today but he is now elsewhere. Today probably not the day but I would not put you off having a little saver just in case. Keep your eyes on him in the run. 0.5 pts saver on VOLITO at any price you like on Betfair. The most interesting horse of the day for me though runs at Wolverhampton in the 6.45 in the form of Lady Cecil’s SYNAESTHESIA. Just four starts in maiden company for the daughter of High Chaparral (out of a Selkirk mare) and shown just modest form. The eye catcher for me though was last time when she ran better than the bare form suggested under an interesting ride. She travelled well enough and when they quickened off the bend Ted Durcan decided to switch her up the inside rail at Lingfield (not advised). He also, never at any point, touched her with the whip. I don’t think the drop back in trip will be an issue as there is not a lot of pace in the race so I can imagine that Adam Kirby will have her handy so he can kick and dictate off the bend. She is certainly bred to be better than 66 and she is very close to maximum bet material for me. SYNAESSTHESIA – 4 pts win @ 4/1 generally. Slightly off topic but it seems that Tom Segal came to pretty much the same conclusion to me about the Arkle so hopefully plenty of you managed to get on when we put up up a week or so ago at 25/1. The price hasn’t altered too much since but nice to be ahead of the market and I’m sure he will be much shorter come race time. Have an awesome Friday and be lucky! Morning campers. Just a little recap on Monday. Disappointing that the main bet Master Of Disguise couldn’t win having been in a perfect position all the way round. Columbia won well enough though to make it a winning day. First interest of the day today comes at Chelmsford in the 2.40 in the form of Derek Shaw’s DARING DRAGON. His form for the past year has been sketchy to say the least but as a result has dropped to a pound below his only winning mark. He switched to Shaw’s yard in August and just had the one run so has now had plenty of time to acclimatise. He has gone well fresh in the past and his better efforts have come on polytrack. I just felt that at morning prices this morning he is probably overpriced and was therefore worth an investment. DARING DRAGON 1pt each way @ 12/1 generally. Next up on the interesting list is the Daniel Kubler trained TRIMOULET (4.10 Chelmsford). Handicap debut this afternoon off a mark of 65. There is strong reason to believe that this mark is generous. Giving the impression the last twice that there is plenty of improvement in him. Given the fact that a step up to ten furlongs may also bring about a bit more I think he is clearly very interesting today. TRIMOULET 1 pt win @ 7/1 generally. DUTCH S (6.15 Kempton) is really interesting later on. She didn’t quite finish her summer off as expected but has been given a bit of time (a regular feature of Clive Cox) and I expect a big run from her. One or two of her speed figures suggest that she is very capable of winning off 73 and I think she is a really interesting bet tonight and would expect to see money for her with Kirby on board. Not the ideal start to proceedings on Saturday. Both runners a tad unfortunate in the 1.25 and then Kodiac Lady was forced to go up the inside in a race that didn’t really pan out as expected. They all remain of certain interest. MASTER OF DISGUISE ( 2.40 Wolverhampton) kicks a new week off today. Hasn’t won for three years but as a result has dropped miles in the weights and has been unlucky the last twice. Not a massive fan of backing horses in these amateur races but have no qualms about Serena Brotherton. She is as good as it gets in this grade and from a good middle draw I would be disappointed if he doesn’t win today. COLOMBIA (3.10 Wolverhampton) caught the eye on handicap debut last time and runs off the same mark here today against her own age group. There is a chance she is going to be a fair bit better in time than 49 and should be backed today.